Aren't these adorable?! These are three, vintage drop caps from a vintage, 1915 baby book. 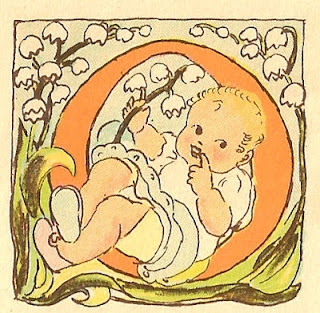 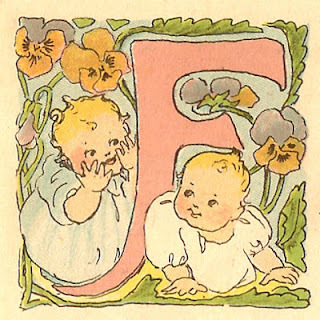 These baby graphics would be so cute in a scrapbooking project. 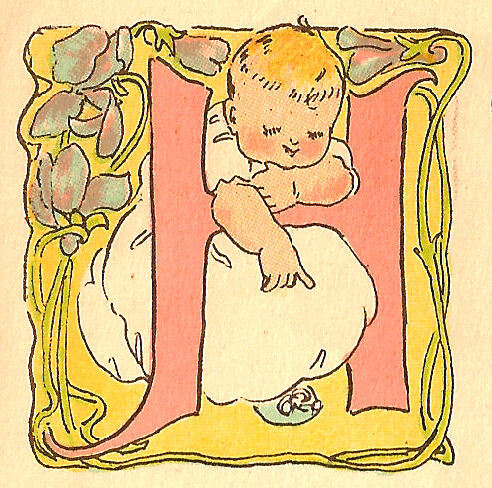 Wish there was an entire alphabet of these, but hopefully, you can find a use for the letters, F, H, and O. I hope you enjoy!